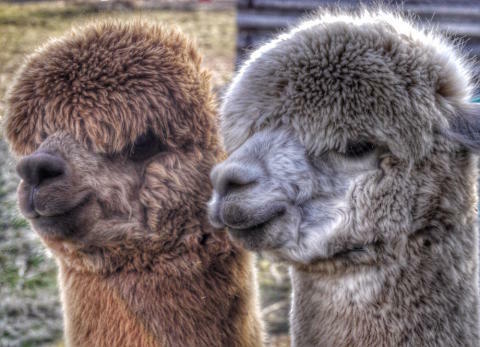 The owners of a Cumbrian farm famous for its alpacas have seen “a world of difference” since getting superfast fibre broadbandTV presenter Kim Inglis-Jeffries and her husband David Jeffries have found the high-speed technology has been a huge boost for their work and personal lives at Blencogo Farm. Since October 2013, the Connecting Cumbria project – a partnership between Cumbria County Council and BT - has enabled more than 600 fibre broadband cabinets, with more being switched on every day. More than 120,000 households and businesses now have access to fibre as a result of the project. The Connecting Cumbria Programme’s ambition will, by a combination of commercial investment and gap funding made available to us, enable access to Next Generation Access (NGA) broadband to 95 per cent of Cumbrian homes and businesses when added to the private sector’s commercial rollout.And Connecting Cumbria is providing two thirds of its rollout with speeds of more than 50 mbps. There is, in addition, a commitment that all Cumbrian properties will have access to speeds of at least 2Mbps by some means. In the majority of cases this is already available or will shortly be made available via the deployment of fibre services however where properties cannot yet access this basic level of broadband services there are subsides available through the Broadband Delivery UK Better Broadband Scheme to support access to services using alternative technology – details of this scheme can be found on the Connecting Cumbria website. Connecting Cumbria will ensure maximum coverage is achieved from available resources, demonstrating maximum value for money. Cumbria County Council has a continuing commitment to expand NGA broadband services and make NGA broadband service available to additional areas across Cumbria as funding becomes available.